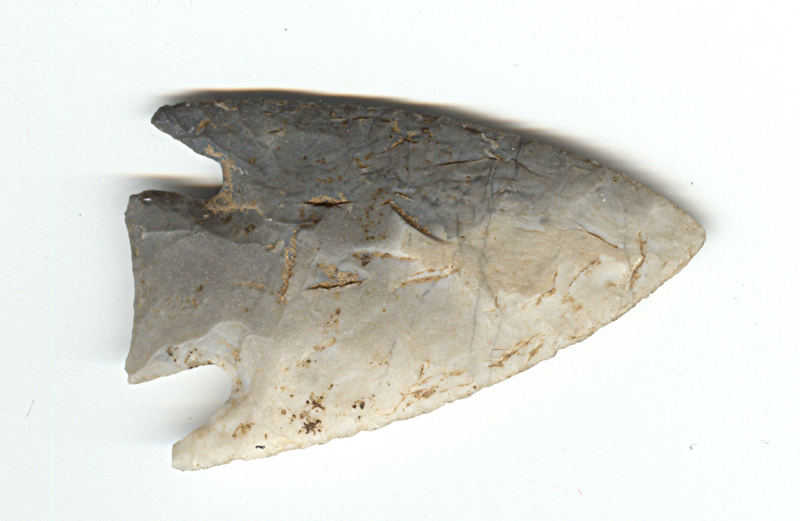 A Medium Size, Colorful, Anciently Aged, Marshall Point That Exhibits Surface Aging Frosting And Overall Stone Coloration Patination, Aging In The Basal Corner Notches, Aged Mineral Deposits, Correct Type Flaking, Heavy Aged Surface Deposits, Correct Slight Blade Use Sharpening Reduction, Correct Material And Manufacture For The Area Found. This Nice Example Was Found North Of The Heavy Marshall Type Distribution Area & South Of The Concentrated Novaculite Material Source! Includes Dwain Rogers And Ken Partain Certificates Of Authenticity!